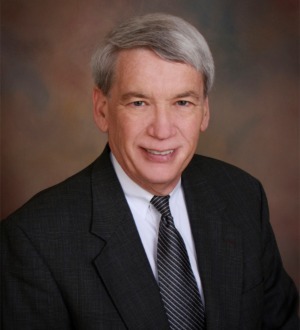 Hal K. Litchford, shareholder in the Firm's Orlando office, devotes his practice primarily to the litigation, trial and appeal of significant business-related disputes. His broad experience includes antitrust and trade regulation matters, non-compete and trade secret law and intellectual property law, among other areas. As a result of his extensive courtroom experience, he also has a related counseling practice. Mr. Litchford was one of the first board-certified attorneys in Antitrust and Trade Regulation in the state of Florida, and holds the highest rating assigned by Martindale-Hubbell. He has received numerous recognitions from his peers, including his listings in The Best Lawyers in America®, Florida Super Lawyers and Chambers USA: America's Leading Business Lawyers. Mr. Litchford is a well-known participant in bar activities. He has served as chair of the Business Law Section of The Florida Bar, chair of the Statewide Fee Arbitration Committee, and is serving his second term on the Certification Committee of The Florida Bar for Antitrust and Trade Regulation Law. He has also served on the Appellate Rules committee as well as the ad hoc Committee that drafted the standards for intellectual property certification in Florida. Since 1980, Mr. Litchford has been in private practice in Orlando and was one of the founding shareholders of Litchford & Christopher. Prior to coming to central Florida, he worked in the antitrust department of Howrey & Simon in Washington, D.C. He is an accomplished author and presenter on the topics of antitrust and civil litigation, and frequently presents continuing legal education seminars across the state.